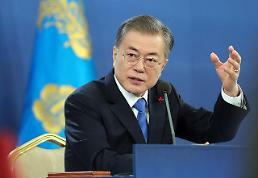 Moon Jae-in is a former human rights lawyer and pro-democracy activist who inherited the political creed and philosophy of former liberal president Roh Moo-hyun known for pushing for economic justice and inter-Korean reconciliation. 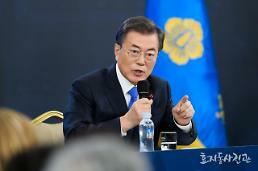 During his five-year term, Moon, 64, promised to push for far-reaching reforms and ride out diplomatic and economic crises, saying South Korea is now faced with an "unprecedented complex" crisis. "My goal is not a simple regime change but to build a new country," he said during his election stumping, calling for a fresh national drive to eradicate injustice and corruption. "Certainly, I will eradicate unfairness, injustice, corruption and inequality." His victory in South Korea's first presidential by-election owes much to a corruption scandal which has seen millions of citizens taking to the streets in an unprecedented demonstration of people power to oust conservative ex-president Park Geun-hye who took office in early 2013 after beating Moon. 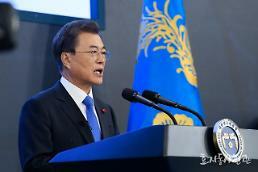 Moon had an ill-fated relationship with the authoritarian leadership of Park's late father, Park Chung-hee, a former general who seized power in a military coup in 1961. He was born on January 24, 1953, in Geoje Island, as the first son of a peasant refugee who fled his hometown in North Korea's northeastern port of Heungnam. After his family settled in Busan, Moon majored in law at Seoul's Kyunghee University. He was arrested in 1975 and expelled from the university for leading anti-government protests. Park Chung-hee, assassinated in 1979 by his intelligence chief, was credited with pioneering South Korea's rapid industrialization. At the same time, he was criticized for the brutal suppression of democracy under his 18-year rule. Like other student protesters, Moon was drafted into the army at the time and passed the bar exam after his discharge in 1980. Despite his good academic record at a state-run judicial training center, he could not realize his dream of becoming a judge because of campus activism. Moon, a Roman Catholic, shares his political philosophy with Roh because they worked together as liberal lawyers to take human rights cases involving students and labor activists. Moon made his political debut as Roh's campaign manager during a presidential race in 2002. Serving as the chief presidential aide, he was considered Roh's most trusted confidant until the ill-fated ex-president committed suicide by jumping from a mountain cliff behind his home in May 2009 following a humiliating probe by state prosecutors into alleged corruption involving his family. 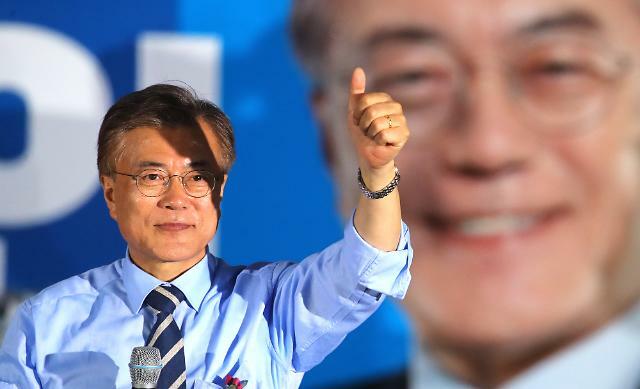 The suicide prompted Moon to begin his new life as a leading opposition politician who ran in a presidential race in 2012 only to lose against Park. Since Park took office in early 2013 as South Korea's first female president, Moon has bolstered his presidential bid with widespread support from young voters. 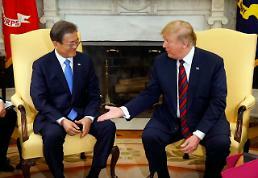 Moon portrays himself as a moderate and rational figure but opponents often likened him to Roh, who advocated cross-border reconciliation and anti-US nationalism at the expense of traditional ties with the United States, triggering a strong backlash from conservative groups including Park's. While working as Roh's political soul mate, Moon lost ten teeth due to stress and received implants. The thing he cherishes is a pendulum clock presented by Roh to celebrate the opening of his law office, and his most pleasant moment is when Roh won a presidential election. As the father of a son and a daughter, Moon's personal dream is to visit the hometown of his father. He respects former US president Franklin D. Roosevelt (1882-1945) and describes excessive seriousness and lack of caution as personality traits.